FORT LAUDERDALE, FL, UNITED STATES, April 8, 2019 /EINPresswire.com/ -- TRIFECTA PHARMACEUTICALS USA, a leading developer, manufacturer and distributor of specialty OTC topical ointments, creams and gels, today announces its inaugural distribution partnership with Walmart. Mayinglong hemorrhoid ointment, a known and trusted treatment for the pain and discomfort associated with hemorrhoids, will be available on Walmart’s shelves from April 2019. Mayinglong hemorrhoid ointment combines popular compounds used in Traditional Chinese Medicine with an easy-to-apply formulation. Mayinglong (Ma-Ying-Long) ointment contains seven traditional Chinese compounds, including those derived from rosemary oil, pine resin and powdered pearl, as well as other proteins and minerals providing antioxidant, astringent and moisturizing properties. 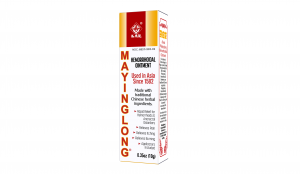 The ingredients contained in Mayinglong hemorrhoid ointment have been used in Asia since 1582. Traditional Chinese medicine principles have been embraced as part of a holistic approach to health care in the US for many years. Mayinglong hemorrhoid ointment will be available for purchase at your local Walmart from April 2019, in local independent pharmacies and online at www.mayinglongusa.com. Trifecta Pharmaceuticals USA is a leading developer, manufacturer and distributor of over-the-counter (OTC) topical ointments, creams, gels and oral rehydration salts. The company prides itself on delivering the highest standards in quality, value and service to its customers across the United States. In addition to its US commercial operations, Trifecta Pharmaceuticals works closely with international NGOs, charitable organizations and government agencies as the preferred provider of pharmaceuticals and medical supplies. Trifecta Pharmaceuticals products are available at pharmacies, Amazon.com, retailers and via healthcare distributors nationwide. For more information, please visit www.trifecta-pharma.com.